Avicenna, also known as Ibn-Sina, was not only a philosopher, but also a physician, astronomer, and poet. His most famous work was his Canon of Medicine, which was used as a medical text for over 600 years. In this work, he described lockjaw, pleurisy, oral anesthetics, animal experimentation and malaria therapy. He also wrote more than 60 books on theology and philosophy. Avicenna was born near Bokhara, a city in central Asia that is now part of Uzbekistan and was then part of the Persian-Samanid Empire. The Samanids enthusiastically supported the arts and sciences in the areas where they ruled. Avicenna’s father was well-placed in this society and was able to give his son an excellent education. Possessing a good memory, Avicenna was said to have memorized the Quran by the time he was 10 years old. He was also well versed in arithmetic, Islamic law, and other disciplines. 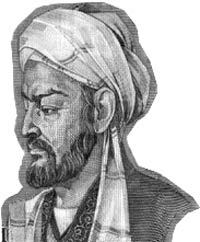 By the time he was a teenager, Avicenna had learned everything he could from his professors. He was a well-respected doctor by the time he was 18 and by the age of 20, he was recognized by many people as being the most learned man of his time. While he was still in his teens, Avicenna was appointed court physician to the Samanid emir after the young doctor had helped the emir through a serious illness. Because of this, he was allowed to study in the royal library. However, the library burned down and the Samanids fell from power. Avicenna became an itinerant after that, lecturing for small amounts of money. Finally, he found a patron near Hyrcania, a region that now spans part of Iran and Turkmenistan. This stability allowed him to begin to write the Canon of Medicine. After this, Avicenna went to live in a town near Tehran, where he wrote more of his works. However, feuds within the royal house forced him to leave the area and he again took up an itinerant life even as he was able to teach and study. One emir even had him imprisoned for a while. When he arrived in Isfahan in Iran, he worked for a prince as a doctor and adviser. But the years of stress and wandering had affected Avicenna’s health, and after a period of illness, he died in June, 1037, when he was about 58 years old. He was buried in Hamadan in Iran, and his tomb still stands there. Besides the Canon of Medicine, Avicenna wrote books on logic, metaphysics, and ethics. He mostly wrote in Arabic, but he also wrote in Persian. He was particularly interested in the differences between existence and essence and other metaphysical concerns. In the Islamic world during the 12th century, Avicennism was the leading school of thought. This philosophy, developed by Avicenna, brought together three main ideas, including Aristotelianism, Kalam, and Neoplatonism. Avicenna had the goal of trying to prove the existence of God through logic and reasoning. Avicenna died in June of 1037. During his final days, he tried to make things right with those around him. In addition to freeing his slaves, he gave his money and riches to the poor and read through the Quran once every three days.